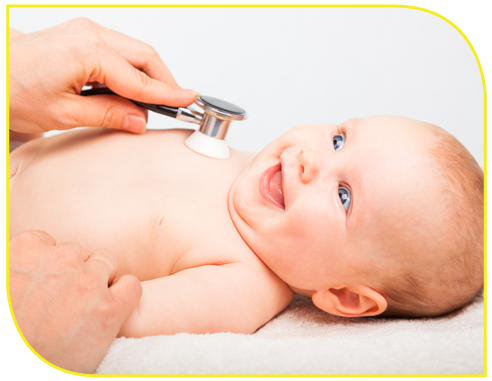 Welcome to Greater Atlanta Pediatrics located in Decatur, GA. We appreciate the opportunity to provide your child with the highest quality pediatric care. Additionally, we promise to offer superior and professional customer service. We are confident that you will find the staff courteous, friendly, and willing to help in every way possible. With an emphasis on evidence-based medical care, safety, and the best practice guidelines set out by the American Academy of Pediatrics, our goal is to create a partnership between a child, his or her parents, and the pediatrician. We look forward to a long and healthy association with your family in Atlanta. 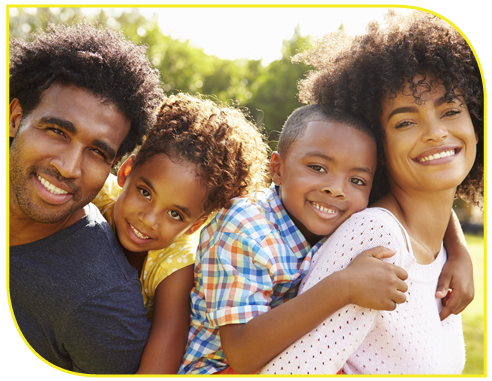 Greater Atlanta Pediatrics is happy to be accepting new patients. Learn how to transfer care to us. There is no need to schedule a visit to establish care, although we are always happy to give new families a tour of our office. We are happy to see them as a new patient even for same-day sick visits. Check-up time: Schedule your child’s next well-child care visit with us per our care guidelines. Please note, insurance plans differ as to whether they will cover a check-up for kids older than three years every calendar year or every 365 days. It’s up to you to know when your child is due for a check-up and when your insurance will cover it. Our checkup schedule: newborn, 1m, 2m, 4m, 6m, 9m, 12m, 15m, 18m, 2yo, 2.5yo, 3yo, and then annually. Need to Follow-Up on Chronic Conditions? If your child needs management for a long-term medical condition, please schedule an appointment separate from any check-up or other sick visits. Examples of Chronic Conditions include Asthma, Allergies, Eczema, ADHD, Acne, Depression, Constipation, or anything else requiring medications on a regular basis. Dr. Saad Hammid received his Medical Degree from Damascus University Faculty of Medicine. He is a board-certified pediatrician and a fellow of the American Academy of Pediatrics. Following his medical training at Damascus University, he completed his Pediatric Residency at Memorial Health University Medical Center in Savannah, Georgia. He practiced for 9 years in Savannah, Georgia – taking care of newborns, children, and adolescents in both inpatient and outpatient settings. He relocated to Dalton, Georgia where he continued his passion for helping children and their families. 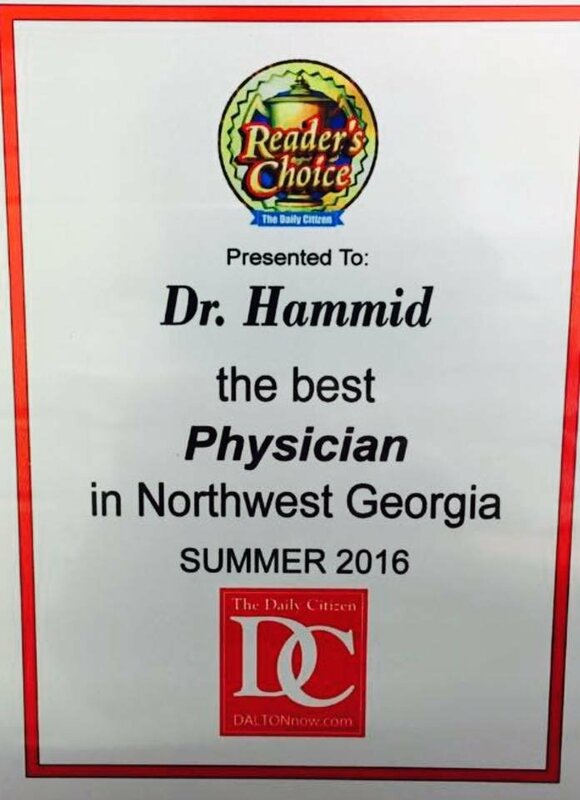 Dr. Hammid and his family relocated to the Atlanta area to open his new practice and be near his eldest daughter who started college. He has been in practice since 2000, with more than 17 years of experience in pediatric patient care, and provides world-class care to his patients. He enjoys helping families to stay healthy and promotes healthy choices in life as a primary care pediatrician. He enjoys building relationships with families and promoting lifestyle habits that will prepare children for a lifetime of healthy choices. Dr. Hammid is very excited to be opening his own practice, with a focus on the values he finds most important in medicine today. In addition, he has a particular interest in child safety, and his specialties include asthma and ADHD diagnosis, behavioral evaluation and management, and a good health and nutrition plan. Outside the office, you are likely to find him at his son's soccer practice and at home reading and spending quality time with his younger kids. Get Premier Pediatric Care Here! Entrust the health and wellbeing of your children to us at Greater Atlanta Pediatrics. Our clinic offers top-quality pediatric services so that your kids can grow into healthy, strong adults. For more information, give us a call or send us a message. We have English, Spanish, and Arabic-speaking staff on standby to assist you with all your health care concerns.